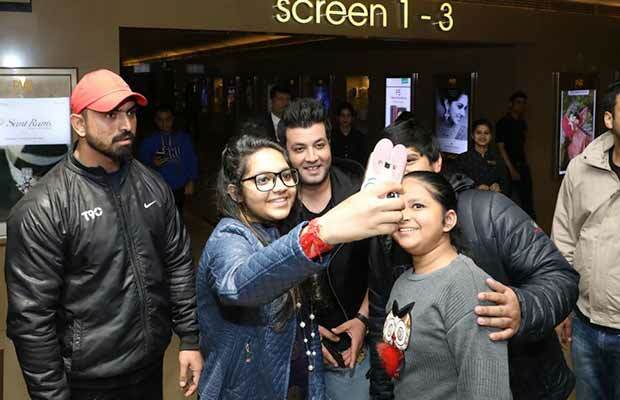 ‘Fukrey Returns’ actor Varun Sharma aka Choocha visited movie theaters in Chandigarh to gauge live reactions of the audience to his recently released film ‘Fukrey Returns’. Varun Sharma visited a multiplex in Chandigarh to witness the live reactions to his comic entertainer ‘Fukrey Returns’. The actor not only watched the film with the audience but also interacted with the fans and even clicked pictures with them. Varun Sharma was overwhelmed by the love and appreciation showered on him by the audience. Excel Entertainment’s ‘Fukrey Returns’ has been riding high on its success as the film recently crossed the 50 crore mark and continues to rule the box office. The sequel to the 2013 underdog ‘Fukrey’, emerged as a super hit at the box office with its intriguing storyline and perfectly timed jokes. Excel Entertainment’s ‘Fukrey Returns’ is garnering immense love from the audience worldwide and has emerged unstoppable at the box office. The comic entertainer continues its dream run at the box office as the film crossed 50 crores in its first week. The film raked in 8.10 crores on its opening day, the first weekend collected 32.2 crores. ‘Fukrey Returns’ continues spelling its magic on the audience as the film collected over 52.81 crores till date. Previous articleKaran Johar Slammed Ranbir Kapoor For THIS Reason!